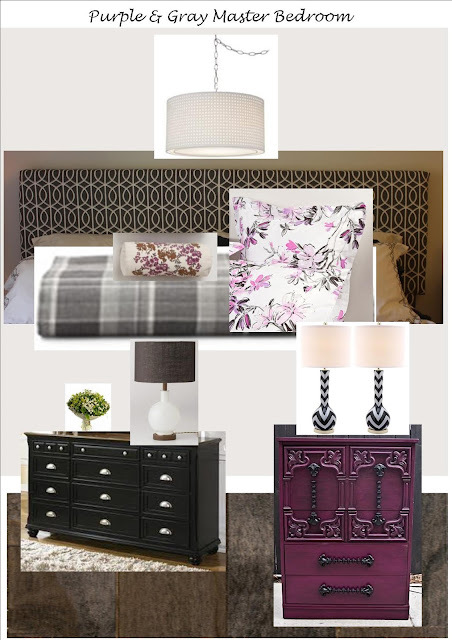 It's been a while since I've made a mood board, but I was really excited by a recent article in Good Housekeeping featuring a room that was made for both a man and a woman to love. It had both plaids and florals, grays and purples. I remember liking plaid a lot in the past and it's definitely making a comeback. Especially mixed with other patterns.